When the teaching of black history begins with slavery, it ignores the humanity of black people, just as their humanity was denied in the past. The history of Africa taught in British classrooms today centres on slavery, and the humanitarian aid that western countries send to Africa – the typical ‘single story’ of Africa. Moreover, in the West, narrating black history is often times equated to ‘playing the victim’. Hence, people of African ancestry have become accustomed to being ignorant and apologetic about their history. The purpose of this article is to highlight the consequences of black history not being taught properly in the British curriculum of education. A holistic approach to teaching black history is required. Each year in the UK, the entire month of October is dedicated to celebrating black history. The usual theme of the black history month is the remembrance of centuries of black dehumanisation in the Western Hemisphere, and how they were eventually rescued through the messianic acts of abolitionist like William Wilberforce. The achievements of African-Americans such as Harriet Tubman, Rosa Parks, and Martin Lurther King Jr are spotlighted. Afro-Caribbean British ‘achievers’ – past and present – are also celebrated. As stated in the opening sentence, the incessant start of black history with slavery robs black people of humanity. It is impossible for black youths who have been taught that their history starts with slavery to be proud of their identity. The Nigerian-born British comedian, Andy Osho, once mentioned in an interview that being an African with an Africa name was a shameful existence for her while growing up in the UK in the 1980s. This was because of the perpetual dehumanising history of Africa that black children were indoctrinated with. Lack of pride in one’s identity, history, and culture leads to lack of self-worth. Dr. Melanie Fennell demonstrates in her classic cognitive behavioural therapy guide, Overcoming Low Self-esteem, that one of the ways humans manifest low self-esteem is by making ‘anxious predictions’ about their ‘bottom line’. For example, a black British youngster whose ‘bottom line’ is ‘I’m unworthy’ or ‘people like me don’t really matter in the society’, will make ‘negative predictions’ about the result of challenges and opportunities he or she is yet to pursue. Hence, many of black youths ‘exclude’ themselves from the society, and avoid taking on challenges or pursuing opportunities – even when presented on a gold platter. Because of this, school dropout rate and youth crime is rife in black community in the UK. Black history ought to not just be about slavery – the Atlantic slavery only interrupted black history. Black history includes the achievements of African Empires pre-Atlantic slavery. 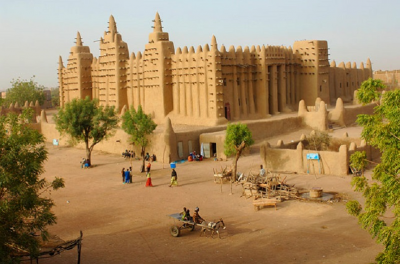 Before the arrival of the Europeans, Africans built monuments, pyramids, and masterpieces from Egypt and Nubia to Timbuktu and Ile-Ife. Past African civilisations rivalled those of their Asian and European counterparts, early European travellers to West Africa attested to this. The earliest Portuguese travellers to Benin Kingdom (in present-day Nigeria) in the 15th century found societies that were not much different from their own. The British historian and writer, Hugh Thomas noted that the smelting of iron and steel in West Africa was similar to that in Europe in the 13th century. Senegambia had iron and copper industries, and the quality of African steel was comparable to that of Toledo. In 1911, 14th century art works that ‘rank with the finest works of Italy and Greece’ were discovered in Ile-Ife, Nigeria. Worse yet, the comprehensiveness of black history that is taught in British schools is questionable. Black people are usually portrayed as people without agency in these Eurocentric versions of history. Take for example, the abolition narrative. While European abolitionists such as William Wilberforce and the former slave merchant turned Anglican clergyman, John Newton, are hero-worshipped, Africans that fought against the Atlantic slave trade from the outset are never mentioned. As early as 1526, King Afonso I of Kongo Kingdom in West Central Africa wrote a series of letters to the Portuguese king, condemning the activities of the Portuguese slave traders in his kingdom. Queen Nzinga Mbandi of Ndongo and Matamba Kingdoms (modern-day Angola) personally led troops into battle against Portuguese slave traders. King Agaja Trudo of Dahomey (in present-day Benin Republic) not only fought against the slave trade, but, in 1720, also went as far as to destroy the slave fort the European enslavers had constructed on the coast of his kingdom. So what are the benefits of teaching an encompassing black history? Making black students, and adults, aware of the breadth of their heritage will help to boost their self-worth. It will increase academic enthusiasm amongst black youths. It may just prompt them to engage more in school activities, thereby reducing school dropout rate. Teaching an encompassing black history not only benefits black students, but it is also beneficial to British society as a whole. It helps the nation to collectively pause and reflect on race relations. For instance, Femi Akomolafe highlights the historical origin of the never-ending and ever-increasing racial tension between white and black people in his book Black Damage: Why Africa and its diaspora are plagued with poverty, conflicts and crime, and the ways forward. He also provides potential solutions to diffusing this lingering racial tension. Widening the scope of black history study can also help the society to unravel many of the racial stereotypes that linger into the present. It is important that Africans and people of African ancestry get a grip of black history. According to an African proverb, ‘until the lion tells his side of the story, the tale of the hunt will always glorify the hunter.’ History is not just about past events narration. History teaches us who we are, why we are, where we are, and how best to navigate our way to a better future. It also helps us avoid the mistakes of the past. The British black history curriculum and black history textbooks have failed black students. Most history teachers today, from primary to tertiary institutions, are themselves trained from textbooks which give skewed account of black history. In addition, black history scholarship is pioneered by the European; most of the academic textbooks on black history are presented from a Eurocentric lens – a case of history been written by the conqueror. Hence, making black history a mainstream study in British schools is not the sole responsibility of the British government; it is incumbent upon African historians and historians of African ancestry to provide books detailing the true account of pre-slavery Africa. It is worth mentioning that some historians of African descent including the late Guyanese-born associate professor of Africana Studies at Rutgers University in the United States, Ivan Van Sertima, and the African-American historian at Harvard University, Henry Louis Gates Jr., have done much to broaden the scope of black history. I am not suggesting that vast history of Africans should be included in the British school curriculum just for knowledge’s sake or for a sense of cultural pride, although each is important. According to Keisha L. Bentley-Edwards, an assistant professor of educational psychology in the College of Education at The University of Texas at Austin, it is crucial that black people learn that their ancestors were humans, not slaves. When the achievements of Africans, pre-slavery, during and after their enslavement are recognised, their humanity becomes undeniable. Written by Femi Akomolafe, Research Associate at NIAS and author of the book Black Damage; why Africa and its diasporas are plagued with poverty, conflicts and crime, and the ways forward.